To my surprise I found a Magic Hat Spring Fever variety 12-pack at my local Kroger store. 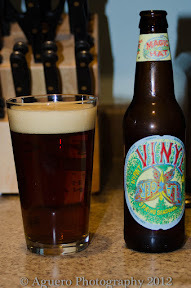 Having heard of Magic Hat but having never tried any of there beers before I was quite excited at the find. What follows is my opinions regarding the 4 brews included in this variety pack: the #9, Vinyl, Demo, and +/-. Pours a light amber color with a hint of tan and a nice white fluffy head. Starts off with a very light, dare I say bouncy, taste that mixes some sweet fruit flavors with a tiny hint of bitterness. It’s got a decent mouth feel, though the aftertaste feels a bit filmy.Overall it’s a dry taste with a nice fruity punch, you could safely compare this to your average pale ale with a good amount of fruit flavoring thrown in. I’m really not impressed by this beer very much at all, it seems to be somewhat of a niche thing due to the amount of fruit presence in it. I’ll give it a 2/5 and doubtfully ever drink it again. whiff of malt flavoring. This is a crazy toasty beer and uber dry. That toastyness gives it an interesting, perhaps not good… but certainly thought provoking, taste. It feels a bit thick in the mouth, which is kinda a meh thing. This is one of the better lagers I’ve had, which is not saying much as I’m an ale guy… but really this is a mediocre beer. 1.5/5 Sorry Magic Hat, 2 misses in a row. I don’t usually get too into the bottles themselves because for the most part they’re all generally the same. This presents a different situation. 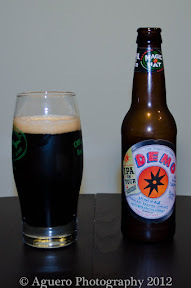 Demo is part of Magic Hat’s seasonal IPA On Tour line of beers. The marketing guys behind this have done some decent work. So the line is IPA On Tour and the beer is Demo, check the pictures I took and you’ll see how it kinda looks like an old school vinyl record complete with “Side B” and what looks to be a track listing.haven’t paused much at all, this is a very very drinkable beer. I wish this was more than 6%, but at that strength it makes it a solid session beer. Cool marketing aside I give this beer a 3.5/5 and wish that I had more of them in my fridge. Pours a very dark amber with a white head. Smells pretty sweet. It’s a very smooth mild taste with a bit of malt. Extremely light mouth feel. Yeup.. that’s it. Not a very complex beer in my opinion. I wouldn’t say this was disappointing as I wasn’t expecting much… but I’m not happy with it. 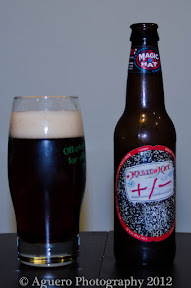 1.5/5 rating.Ok… English Dark Mild Ale is a mouthful of a style and 4.2% is pretty low… but hopefully this beer will convince me those are both good things. 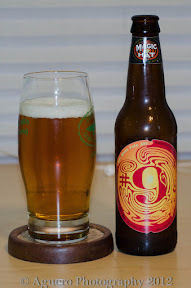 So the total score for Magic Hat’s Spring Fever variety pack is just 1/4 beers that I would drink again.